It's 1966 and RAF pilot Dan Stewart awakes from a coma following an aircraft accident into a world where nothing seems to make sense any more. Not being able to recall the crash might be expected, but what about the rest of his life? And what's stopping him from taking his medication? Is it brain damage that's causing paranoia about the red pill or is he right to think there's something more sinister going on? His horrific injuries don't make any sense either - a post-crash fire caused him to suffer 100% burns. How is it even possible to survive that? Are the hallucinations and strange dreams trying to tell him something? They are, and he'll soon find out what, but not before his doctor's sure the shock won't kill him. But then, the CONDITION trilogy will shock the reader with just how easily we will all come to accept the unacceptable... 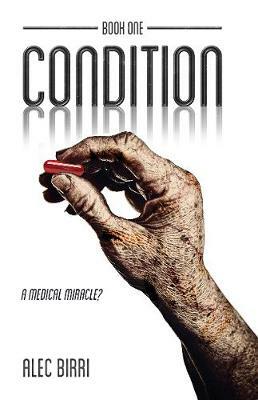 CONDITION is a gripping dystopian thriller that will appeal to those interested in population control, identity, ethics, eugenics, conspiracies and government cover-ups.